The difference between cash flow and fund flow is evident in accounting. In the most simple terms, cash flow happens when cash moves (or flows) in and out of a business. Fund flow on the other hand, is when there is a change in the financial position of a business between the previous year and the current one. The term “cash flow” then refers to the statement of cash flows. A cash flow statement is typically made to explain this in accounting. It shows and explains the inflow and the outflow of concrete cash or any cash-like assets. The flow of cash from any managing, investing and other financing activities is part of the cash flow. The term “fund flow,” has 2 separate definitions – one used in accounting and one used in investing. In accounting, it refers to a statement used to explain any changes in financial position between accounting years. In investing, it’s when investors (or even marketing analysts) monitor the fund flow in different divisions in an economy. Simply speaking, cash flow is the most report explaining the inflows and outflows of cash in a business while funds flow refers to a previous and current report combined to explain any change or discrepancy. What makes Cash Flow Different from Funds Flow? Cash flow and fund flow are terms which are commonly found in accounting. These are both terms used in accounting however their similarities stop there. To start off, let’s learn about cash flow. Cash flow is any cash or cash-like assets which are flowing in and flowing out of your business within a period of time, like a month, a quarter or so on. On the other hand, fund flow is the net of the different financial assets, including the cash which flows in and out of your business. The funds flow is typically calculated either monthly or every three months. When you have any kind of business, it may seem like there is only an outflow of cash. However, when data is analyzed using all the available records, the cash inflow will be evident as well. In a business there is always a dual flow of cash, no matter how huge or small it is whereas it is important to know that fund flow does not consist of funds which are supposed to be paid to your business but haven’t been paid yet. The cash which comes from customers or clients who are paying for your merchandise or services counts as the cash inflow. However if your clients and customers don’t pay directly when they buy, then some of your cash inflow will be coming from when you collect the receivable accounts. The cash which you use to make payments for your business – such as for rent, loans and taxes, counts as your cash outflow. Cash flow is sort of like an image which represents the checking account of your business. When there is a higher inflow than outflow, then your business is experiencing a “positive cash flow situation.” This means that you have enough cash on hand to make your payments. However if there is a higher outflow than inflow, then your business is in a “negative cash flow situation.” This means that you are at the risk of being overdrawn. When this happens, you have to find other temporary cash sources to take care of all your overdrafts. This is the reason why novelty businesses usually require a working capital – to take care of any and all cash flow deficiencies. Cash flow is extremely important for a business. This is because when there is a shortage of cash and there is no back-up, your new business might end up failing. When your business runs out of money, then you have no business to speak of so the 2-way cash flow is really essential. Fund flow involves and measures outflows and inflows while how a particular fund is performing is not considered. The net inflows are the ones which create extra cash which is used by managers for investments. In theory, this then creates a need for stocks and bonds, which are forms of security in a business. In terms of investing, people who are in charge of monitoring fund flow are the market analysts and the investors. They keep track of this to be able to determine the attitude of investors in a specific class or sector of assets or in the whole market. The only focus of fund flow is on the movement of cash. It shows the net movement after the inflow and outflow of cash funds has been examined. The inflow and outflow movements can consist of any payments which are made to investors and any payments which are made to the business, for merchandise and services. The difference between cash flow and fund flow is that the former is more concrete and current while the latter is more abstract and doesn’t only deal with recent data. Definition The cash which flows in and out of a business, in a certain period of time. The period of time can be monthly, quarterly or as required by the business. Financial changes which occur in a business over different accounting years. Typically the change is analyzed between the previous year and the current year. The Purpose for Preparing a Statement To explain why there had been movement of cash at the start and at the end of a certain period. To explain why there had been financial changes from the last year to the current year. How to Analyze Analyzing cash planning. Short term analysis. Analyzing financial planning. What is Typically Disclosed Any and all inflows of cash. Any and all outflows of cash. 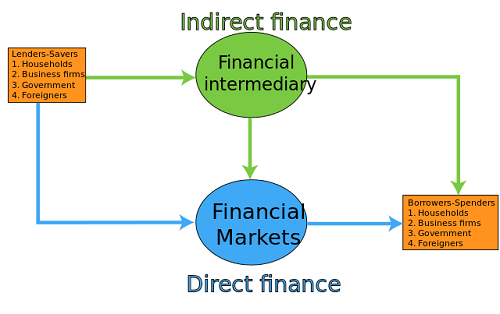 Sources of the funds. Where the funds were used (application). Making a statement which shows any changes in the cash balance and bank balance from the start and end dates of the specified period, then are referring to the cash flow. However, you make a statement which shows differences in financial position from one year to another; you are referring to the fund flow. Analyzing the cash flow means you are analyzing how efficient your business at generating cash. On the other hand, when you are analyzing fund flow, it means you are examining the how efficiently your business is using a working capital. Making a statement for cash flow is beneficial for short term analysis of finances while making a statement for fund flow is beneficial for long term analysis of finances. When making a statement for cash flow, it will include all opening and closing balances of cash and cash-like assets. When making a statement for fund flow, you don’t have to include all opening and closing balances of cash and cash-like assets. Cash flow refers to all cash which is flowing in and out of the business while fund flows show the source and the use of funds. When making a statement for cash flow, it contains the opening balance of cash, the closing balance of cash and any cash equivalents. When making a statement for fund flow, it does not contain the opening balance of cash and any cash equivalents. Cash flow statements are part of financial statements while fund flow statements are not. Both cash flow and fund flow are very useful, especially when making an analysis of the cash and funds in your business and their positions. Both will allow you to make use of financial statements to plan ahead in terms of the liquidity and the solvency of your business. Each day, businesses receive inflows of cash when clients and customers pay for goods and services, or even assets and investments. However, businesses also deal with cash outflows when making payments for the business, in the form of loans, rent, employees’ salaries and other such expenses. All these inflows and outflows refer to the cash flow of the business. A successful business is one which has a higher inflow of cash than an outflow. The fund flow, on the other hand, is a term which is used both in accounting and investing. Accountants use this term to refer to a change which happens with the working capital of a company from the previous year to the current one. A lot of the information written in the statement for funds flow is summarized in the statement for cash flow. However, nowadays, fund flow is more commonly used in investing. When looking at the fund flow, investors will be able to determine their reaction with regards to varied asset classes or the market as a whole. If the fund flow is good, then the investors will have a more positive view of the economy. Simy Em. "The Difference between Cash Flow and Fund Flow." DifferenceBetween.net. September 27, 2017 < http://www.differencebetween.net/business/finance-business-2/the-difference-between-cash-flow-and-fund-flow/ >.